Getting to Canada from Alexandria Bay isn't difficult or far. Head toward Gananoque and take the 1000 Island Bridge or explore the longer adventurous route, which includes ferry hopping two islands, in your car. A 25 minute drive from Clayton, New York, you'll catch the first of two ferries. The Cape Vincent Ferry to Wolfe Island runs every 30 minutes, but arrive early. It's a small ferry, which holds about 10 cars. Depending on the size of the vehicles making the quick 10 minute trip, you may have to wait. Grab your passport, enhanced license or appropriate travel documents. Once you've left the docks of Cape Vincent, New York, you'll arrive on the shores of Wolfe Island, Canada. 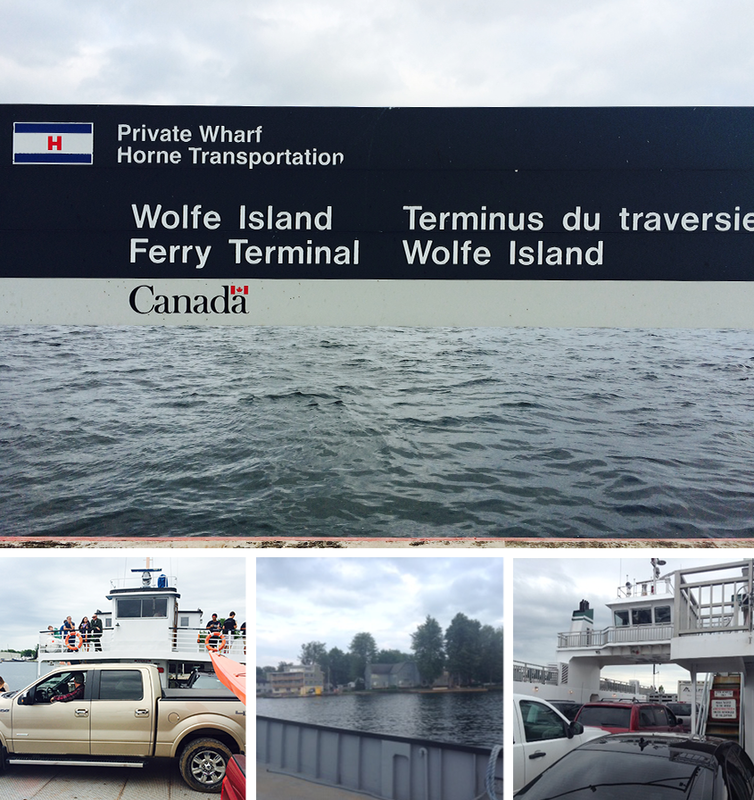 After you clear the border inspection, a 10 minute drive gets you to the Wolfe Island Ferry. Although the ferry leaves regularly, you may find yourself waiting in line upwards of 45-60 minutes. Fitting the cars on the ferry is like putting a puzzle together. Once all the vehicles are carefully parked and packed on the ferry, the ride to Kingston, Ontario is beautiful and passes quickly. In Kingston we headed down Queen Street, hung a left onto Division Road, and another left up Princess Street. 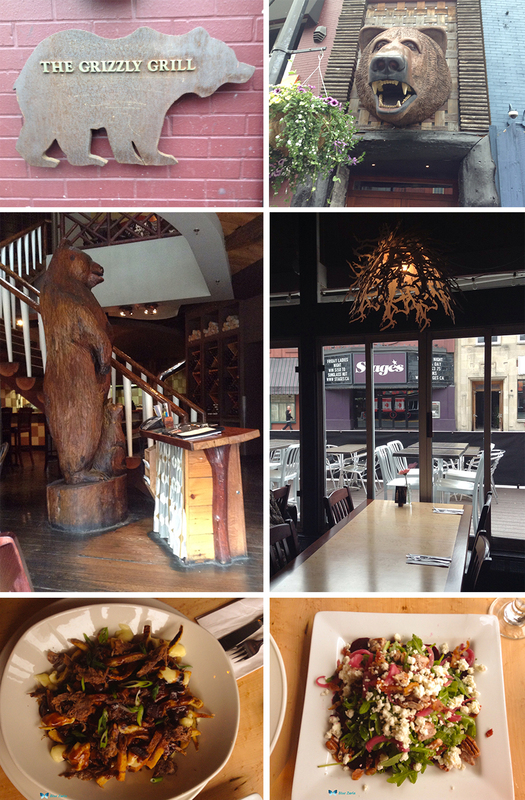 Our first stop, a late lunch at The Grizzly Grill, a rustic chic restaurant with an original twist to everyday dishes. The modern decor with cliche grizzly bear tchotchke seamlessly interwoven, is warm and inviting. We found the starters and salads more appealing and wanted to try several. In the end, we shared the braised short rib poutine and the beet salad. The poutine, perfectly salty, not overly smothered in gravy with sufficient cheese curds and scallions is a must. You've got to have poutine when in Canada. A wonderful beet salad with a nice blend of arugula, beets, pickled onions, goat cheese, bacon and pecans rounded out our meal. Our waitress, Kelsey, answered our questions and chatted with us. I hear the ribs, only served at dinner are to die for. I'll be back to try them on our next Kingston visit.